The past few days, I took a short trip to Budapest. It was rainy and dark skies the entire time, but still a fantastic city, where I hope to return soon for a longer spot of adventure. We were drenched at Heroes’ Square, we were soaked at the Széchenyi baths (well, I suppose one is always a bit damp there), and adequately moist hiking up Gellért Hill to The Citadella. So, I leave you with this photo taken from the top overlooking Pest. More bookish things to come, I swear! I’m now suitably tired in my apartment in Berlin where the sky is also a foggy grey, which doesn’t help how entirely shattered I feel. 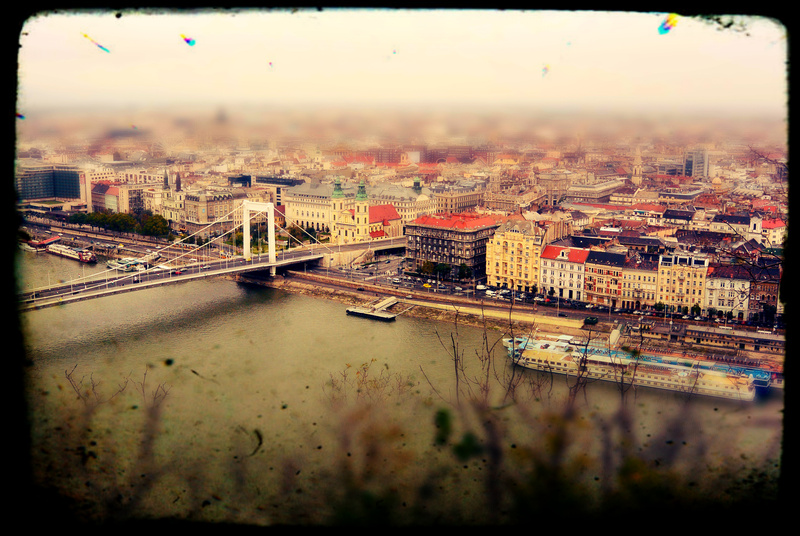 But, for now, here is my little postcard from Budapest, which you can click to enlarge. Yes, you must! I wish I could’ve spent more time there, but we really only had 2-3 days to spare. I look forward to jumping into some more Hungarian lit once I return stateside. I’m a bit behind, but I’ll definitely take a look at your short story this week.